Golf Monthly has been going for over 100 years and is still at the top of its game. This magazine is jam packed with all the latest news and events, plus easy to follow step-by-step guides to help improve your technique. Buy a single copy or subscription to Golf Monthly magazine. 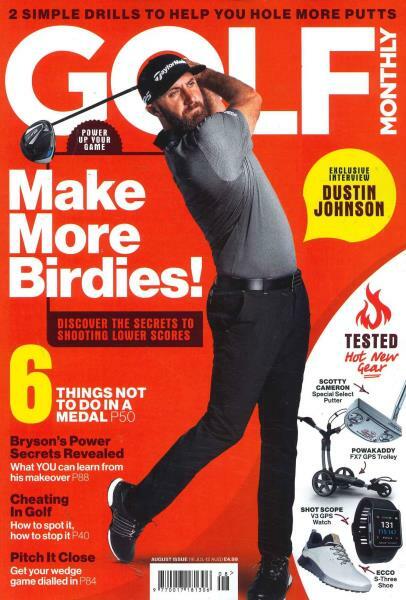 Golf Monthly attracts only the best writers in the game to give their authoritative views on honing your game, the best courses to play, the latest events, the stars to watch out for, and the equipment that will see you outdrive you’re playing partners every time. If you’ve never considered spending some time on the practice range, the experts will be able to tell you how developing a bulletproof putting technique, a classy pitching game and a powerful drive can erase those bogeys and bring down your scores on any course. Interviews with some of the biggest names on tour from Rory McIlroy to Ernie Els and reviews of the best places to play and stay across the globe. As well as this, it delivers the most reliable news from both the European and PGA tours, getting under the skin of the professional game with access that other monthly's can’t deliver. Whether you are looking to take up the sport for the first time or are a keen club player looking to get that handicap just a few strokes lower this is the perfect magazine for you. If you like to keep updated on the latest news on the circuit, this is the right magazine for you. I've only just started to get into golf and this magazine has helped me to overcome hitting the grass.